Many Europeans see problems of indeterminate relations with states and other political entities as rarely occurring in Europe. Isolated cases of citizenship deprivation aside – and it should be noted that such cases generally occur in the context of citizenship obtained through naturalization – a citizen of an EU member state may reasonably expect that his connection to a larger political body will not suddenly cease to exist and its terms will not be unexpectedly altered in a significant way. For example, the British state, having citizenship deprivation powers more extensive than those existing in most European countries, has used them only in 37 cases in the period from 2005 to 2014. The citizenship of a European country, thus, seems to be quite reliable and not presenting any sort of a conundrum to an average layman. History, though, knocks on one’s door sometimes, and suddenly a whole country can find itself in a position where it must somehow resolve the tangled interrelationship between three citizenships. The political decisions that Scots will have to make in the coming years will determine which political bodies they will remain tied to as citizens. 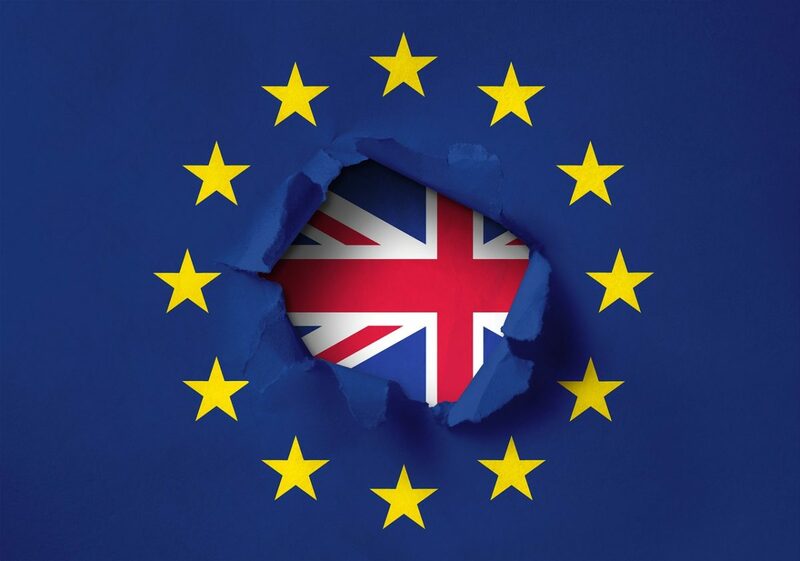 This essay (1) investigates the legal and political foundations of the British, EU, and Scottish citizenships; (2) analyzes related implications of Brexit and Indyref2; (3) claims that the existence of the Scottish case, as well as similar cases, may put the conceptualization of the relationship between a person living in an EU member state and a supranational political body of the EU as citizenship into question and discusses the ways to resolve the tangled situation now present in Scotland. If one would like to shortly characterize the British, European, and Scottish citizenships, it could be put somehow like this: existing; existing in a mysterious way; non-existing, but aspiring. The question arises: Why do we assume more substance for the British citizenship than for the European one, even though the latter is recognized in the international legal acts? The key point here is the absence of the political body provided with the power to grant the EU citizenship independently from the citizenship of a member state. Even though the citizenship of the EU is “additional” to (Art. 20 TFEU) and not derivative from the national citizenship, it can only be obtained through having the former. Thus, the European citizenship cannot serve as a direct link between the institutions it embodies and the individual. The UK citizenship however is a “normal” national citizenship, one of those that every person on earth possesses or at least should possess in accordance with the 1961 Convention on the Reduction of Statelessness. The British legal system combines both legal approaches to citizenship assumption – jus soli and jus sanguinus – having demands both to parentage and to presence on the territory of the UK. For example, a child of UK citizens living abroad will be considered a citizen, but if she does not return to Britain, her own kids will not get British citizenship. Right now, the main legal source regulating the status of the UK citizen is the British Nationality Act 1981. The arrangements surrounding the citizenship of the UK are quite complex. The Home Department identified six forms of adherence to the British state in its 2014 report on borders and citizenship in the context of the potential Scottish independence. The UK distinguishes between British citizens, British subjects, British overseas territories citizens, British overseas citizens, British nationals (overseas) and British protected persons. However, it would be quite safe to say that all (or at least the overwhelming majority of) Scots belong to the category of British citizens and deal with this legal term only. The concept of the potential citizenship of the independent Scottish state, as envisaged by the SNP, is analyzed by political scientist Nathalie Duclos. She argues that the SNP has been trying to promote the inclusive view of citizenship based on residence, rather than ethnicity. This goes in line with their attempts to demonstrate that the kind of nationalism shared by the SNP is “civic”, not “ethnic”. The constitutional project of the SNP reflects this by stressing the necessity to live in Scotland and take part in civic life, as opposed to focusing on various kinds of ethnic bonds. Duclos also brings up the debates about the Scottish constitutional tradition, which, according to some theorists, places sovereignty in the hands of the people, not the parliament, as it is presumed in the British concept of parliamentary sovereignty. Potential Scottish citizens will thus be the representatives of a fully sovereign people. It is unlikely that this may have any direct political implications, but it is an important rhetorical tool in the arguments about the independence prospects. The term “Citizen of the European Union” was first introduced in the Maastricht treaty in 1992. However, it has a history that predates the creation of the EU in 1992. As early as 1961, the Commission of the then „European Communities“ presented free movement of persons as a form of European citizenship. This viewpoint was later supported by Lionello Levi Sandri, the Italian Commissioner in 1967–1970. German diplomat Walther Hallstein also claimed that the developments in the sphere of free movement could point in the direction of a European citizenship. The Court of Justice (ECJ) of the European Union has been playing a very important role in deciding what can and should be derived from the status of the EU citizen. The problem of the withdrawal of EU citizenship is crucial for the analysis of Brexit, as this is exactly what is going to happen in the current legal framework if special conditions are not settled throughout the dialogue between the UK and the EU. The European stance on the matter of EU citizenship is complicated. The key issue here is whether European citizenship is purely derived from national citizenship, or if it can exist in its own right. According to the Treaty of the European Union, EU citizenship shall be additional and not replace national citizenship, hence member states must have the final say about who can and who cannot be their citizens and, consequently, citizens of the EU. The practice of the ECJ though, namely the Janko Rottmann case, indicates that the decision on citizenship withdrawal, if it leads to the deprivation of the status of the EU citizen, belongs not only to national law, but to European law as well. This court judgement potentially gives European citizenship a wider interpretation than a status that citizens of member states possess purely through their national law. The relationship between national and European citizenship is growing more complex than simple derivation, although national citizenship remains primary. Before June 2016 the road to independence was the most unsafe for Scotland in the context of its relations with the EU. The official position of the UK was that only states can possess membership in the EU. In this concrete case, Scottish belonging to Europe is derived from British membership, not from any other source. Yet Daniel Kenealy and Stuart McLennan, referring to general principles in the EU treaties, argued that it would be “schizophrenic” for the EU to punish the citizens of a member state for exercising their natural right for self-determination. Asserting democratic and liberal values in their view can hardly go together with the simultaneous exclusion of millions of people who have for decades enjoyed the rights extended to them by the Treaties of the European Union. Be the first or the second viewpoint true, in neither case could Scotland feel secure in political terms. It had to rely on the good will of either London or Brussels. The strangest situation could have emerged had Scottish nationalists achieved their goals in 2014: the Scots would have kept their British citizenship along with obtaining the new Scottish one, as the Home Department suggested that dual citizenships would be allowed in case of a “Yes” vote. Thus, Scots would have remained EU citizens while not getting special terms of joining the EU as citizens of an independent state. The world could have seen the first country fully populated with citizens of the EU without being a member state. The details of this scenario would have depended greatly on the agreements achieved between Westminster and Holyrood concerning the border regimes and the rights of British citizens in Scotland and vice versa. However, there could have been some interesting political outcomes, one of them being a large group of Europeans being able to exercise their voting rights at the European Parliament elections in Great Britain, but not having their country of permanent residence represented in the institution. The issue of representation would have indeed become peculiar. It would have been difficult to determine, whether the British representatives in the Commission and the Council working groups could have really been treated as representatives of the Scots, who decided to keep their British citizenship out of convenience and had no plans of permanently moving south of the River Tweed. Being appointed by the British government, they would have had to take Scottish concerns into consideration, due to the fact that the “British” Scots would have remained part of the UK electorate. However, it would have been quite hard to explain to the rest of the UK citizenry why Britain still had to take care of a foreign state’s interests. Indeed, living inside of this judicial oddity could have been amusing, but not amusing enough for Scots to actually decide in favor of experiencing it. Brexit has changed everything. British citizenship in one second stopped being the means to stay a part of Europe – it became exactly the opposite. The pre-Indyref1 debate on Scotland and the EU is now inapplicable, as it took the British EU membership as a more or less constant variable. Such a development must lead to several questions about the idea of EU citizenship. In the wake of the first independence referendum, as mentioned earlier, the UK expressed its willingness to accept dual British-Scottish citizenships. It demonstrated thus that the members of its political community should not be deprived of the status that they had held their whole lives by the decision that they personally could oppose. If one is already a member of the political body, one cannot be expelled from it without even breaking any rules. The actions of the UK in this regard are understandable. The European bonds are much younger than those between the members of the UK. However, there are already several generations viewing Europe as a vital part of their lives, and as a community to which they belong on par with their nation-state. If Britain was ready to accept dual citizenship after the Scottish secession, could Europe try to create arrangements which would prevent the Brits, who are willing to stay, from losing their Union citizenship? If not, then the independent value of the European political community, going beyond the national borders, is very modest. Hence why call it a citizenship? Without going into theoretical debates about the models of citizenship, this concept generally presumes a personal bond between a citizen and a political body. A citizen is supposed to have personal rights and obligations derived from her status, not through membership in some intermediate political community. Although citizenship can be lost, this happens due to concrete wrongdoings of a person, not through events over which the individual citizen has virtually no control. Brexit does not contradict European law or the principles of the EU as a union of states, but it does confront the idea that citizens of EU member states are indeed EU citizens. Looking at Scotland specifically gives further insight into the problems surrounding the self-determination of the EU. Scottish nationalists, being the ruling party in Scotland (albeit with a minority government) and owning most of the Scottish seats in Westminster, go with the idea that Scotland as a political entity voted significantly differently at the Brexit referendum than the rest of the UK – namely that Scotland does not see its future outside of the EU and hence deserves the second attempt to claim independence. This argument received a witty response from Theresa May, saying that her own Maidenhead constituency in Berkshire voted to remain in the EU, but there is no campaign for independence going on there. Even though this is more of a joke than a coherent political argument, it is fair in some sense: what makes Scottish ‘remainers’ different from Maidenhead ‘remainers’? It could be the concept of Scottish sovereignty, but this again brings us to the point where being in the EU is not a personal relationship, but a derivative. If political community A ceases to allow rights of EU citizenship, one needs to take part in the creation of the political community B, which would seek the status of the member state after getting independence. The only problem is: Why call such a strange arrangement citizenship? One possible explanation of the usage of this kind of language is the attempt to sustain European integration by making the European political community resemble the nation-state, the political form to which Europeans are accustomed. In this sense, EU citizenship is not the ascertainment of an existing political bond, but rather a promise that such bond will be developed. Such wording has proven to be effective, because even with all the eurosceptic tendencies at hand, the EU as a community managed to achieve enough sense of unity to go through great enlargement and coordinate extraordinary economic policies during the sovereign debt crisis. The EU is now even discussing the creation of a European army. Brexit poses a great challenge to the EU, but political developments in the Netherlands, Austria, and France demonstrate that the centrifugal tendencies are not (maybe yet, who knows) omnipresent and the EU has time to come up with solutions to the current crisis. However, in the particular case of Brexit the idea of European citizenship will suffer severely from the fact that the relations between nation-states are at the end of the day more important than the personal relationship between the EU and its citizens. Someone especially disappointed with the outcome of the British referendum may even call the promise of EU citizenship broken. Having a country leave the EU for the first time is a difficult challenge for the Union. The existence of an unresolved dispute about the independence of one of its parts is complicating this challenge even further, even though the problem of Scottish independence will not be a European problem once the “divorce” process between the EU and the UK is completed. The existence of a region where people, in the span of only two years, had an opportunity to choose between two national citizenships and to decide whether they would like to keep a supranational one, highlights a great number of problems that surround the concept of citizenship today, particularly the idea of EU citizenship. Current political developments could hardly be predicted in 1992 when the Maastricht treaty first introduced this concept. However, now we see that the ability of the term “citizenship” to describe the legal bond between people of the EU and its political structures is very limited. The usage of this word projects the connotations which stem from common perceptions of national citizenships, and this does not reflect political reality. There are several political solutions being discussed today concerning the “personal” dimension of the British departure from the EU in the face of a clear regional divide about this issue. One of the options could be to “freeze” certain EU citizens’ rights for British citizens after Brexit is complete. Marrero Gonzales has suggested this in relation to the possible secession of one of the European regions with strong separatist tendencies. However, these legal instruments could be used in the case of Brexit as well. The most important of these rights will of course be the right of residence, which, as Vidmar argues, can be protected with reference to the Kurić case of the Human Rights Court, which established the priority of residence rights. A sort of permanent “freezing” was proposed by the European Parliament Brexit coordinator, Guy Verhofstadt. He has suggested the introduction of a so-called “associated citizenship,” which would allow British nationals to retain at least some of the rights that they possessed as the EU citizens. Verhofstadt has promised that the EU Parliament will block any Brexit deal that would ignore the interests of about 690,000 of British citizens living in other EU countries and 2.9 million EU citizens residing in the UK. This proposal leaves some important questions unanswered. Will the “associated citizenship” be inherited? Will Brits be able to keep political rights entailed by EU citizenship – for example, will they be able to vote for representatives in the EU Parliament or elect and be elected in local administrations? The key objection to these suggestions is that it would demand a significant change of the Union Treaties, which would be politically infeasible. However, some of the commentators argue that this is exactly the moment for the European Union to take the next step in its political development and separate the Union citizenship from the national one. Daniel Augenstein and Mark Dawson suggest “de-coupling” instead of “freezing”. They argue that considering a withdrawal of EU citizenship from the Scots an “internal matter” (the view expressed by the Council President Donald Tusk) undermines the idea of European citizenship itself. Referring to the opinion of the Advocate General Poraies Maduro, they claim that EU citizenship is a status independent from national citizenship, and such a relationship should be entrenched in the Union Treaties. Such reconsideration could lead to a greater understanding of the future of European integration, and the Brits may retain all their Union citizens’ rights. The suggested solution could indeed lead to further development of the European project, providing it with additional political weight and giving it, effectively, sovereign powers. However, constitutional developments in Europe are not usually easy, and bringing such an amount of change in such a short period of time may turn out to be impossible. It is also doubtful, whether it would be politically reasonable for the EU to allow citizens of the state leaving the Union to retain their status. It may paradoxically strengthen the eurosceptics, meaning that there are no personal consequences in case of a “leave” vote at another hypothetical “exit”-referendum. Of course, it is inhumane to talk about the democratic choice in terms of punishment, but giving the eurosceptics the argument “nothing will change for you personally” cannot be a desirable move for the EU. There are some “instrumental” approaches that would not demand radical changes in the European law. One of them is the simplest, and many Brits have already moved in this direction. This solution is to endow British citizens with the citizenships of other EU member states. The simplification of the naturalization rules may allow thousands, if not millions, of Brits to keep their personal bond with Europe. After Brexit, many Brits living in Europe did indeed apply for citizenships of their states of residence, with many living in the UK trying to get the Irish passports. This is a feasible approach that doesn’t demand any great legal change, but such an increase in naturalization may violate the principle of sincere cooperation, which still applies to Britain while it is an EU member state. The other solution – specifically concerning Scotland and not demanding a major reform of European law, but suggesting a great re-consideration of the devolution acts – may be to implement an arrangement similar to the one that Denmark has with the Faroe Islands. If a part of a country can exclude itself from the European Union, why cannot it work the other way round? The British and the Scottish parliaments would have to come up with a new agreement, entailing the devolved administration with the foreign policy powers and the right to determine its relationship with the EU independently. Such an arrangement will most likely require a referendum in Scotland along with the proposed independence referendum. It will thus separate the issue of the relationship with the EU from the matters of national self-determination. Such a disposition may ultimately lead to political results truly reflecting the political will of the Scots, which would be better than if these issues were intermingled. The UK has made its choice – it wants to be out of the EU. It is time for the Scots to decide to which political body they would like to belong and for the EU to determine what belonging to its community truly means for an individual person. Whatever rules currently apply, they are unlikely to remain the same.